All stones are professionally cut and polished by hand using only diamond abrasives back and front, the material used on these pages is either very rare or no longer available, which makes it highly collectable as there are only a few pieces of each, most of which come from collectors slabs that were mined a long time ago. A new material from Indonisa, it is hard jasper that has dendrites and pyrite and fabulous colours, it takes the fine jasper porcelain polish so is super shiny and solid, it contains fantastic landscape scenes with precise details, this material is really popular at Tuscon right now check out facebook for the rough pictures and other views. Dead Camel jasper from Nevada is a relative newcomer to the lapidary scene, but it has rapidly grown to be one of the current favorites. 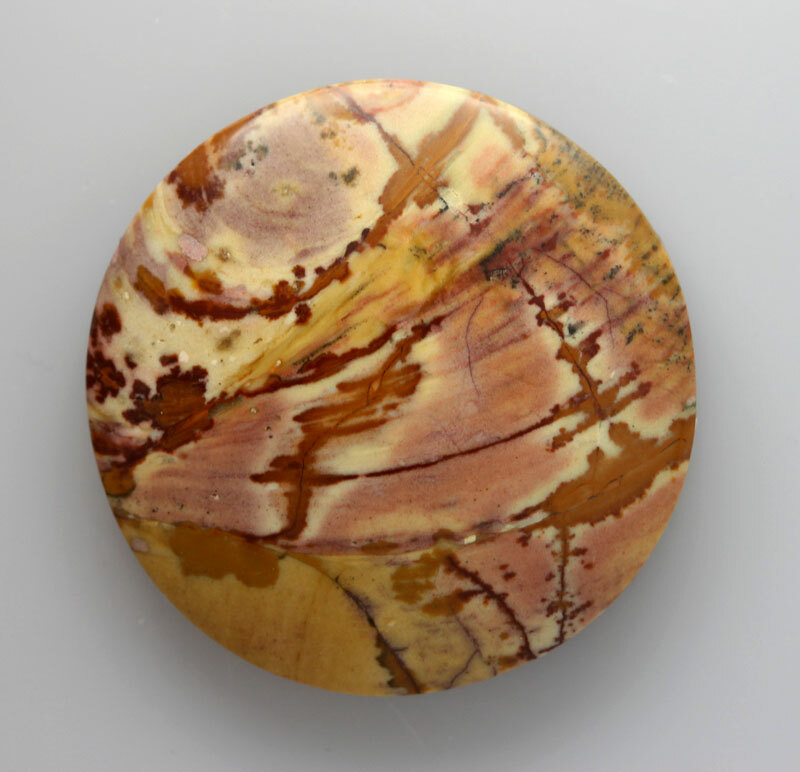 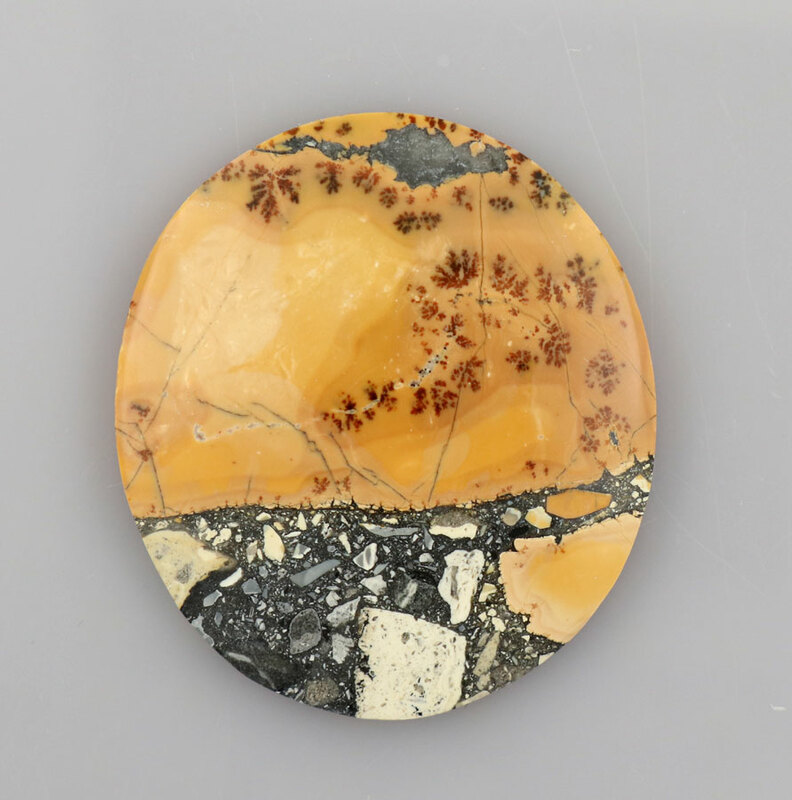 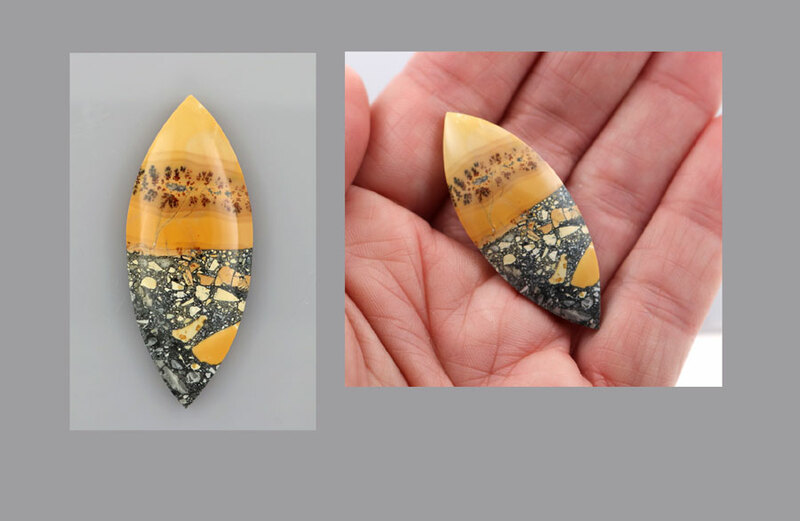 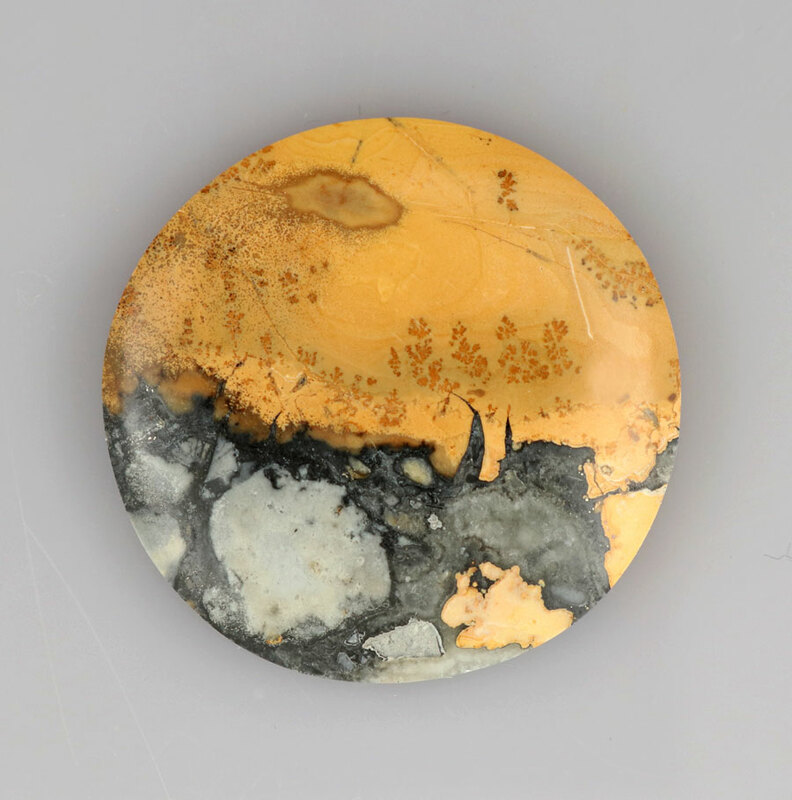 It's a very hard jasper, with busy, brecciated patterns in a mix of pink, yellow and blue.It is similiar to owhee but more colourful and makes glossy polished cabs. 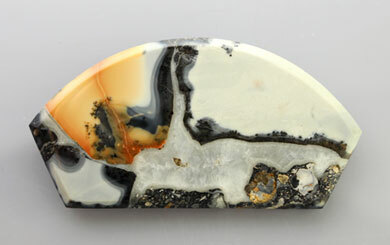 This jasper was discovered many years ago by fossickers . It occurs as a narrow seam within an outcrop of banded chert. The location is in the mid west region of Western Australia near the small gold mining centre of Payne's Find. 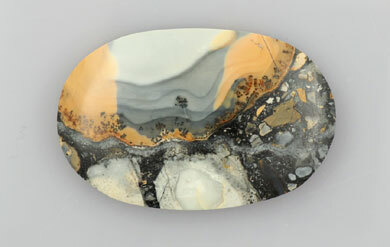 It has stunning scenic qualities with lovely stormy colours and scenes. this beautiful material is from the Oregon Mountains in America. a very high grade polish. 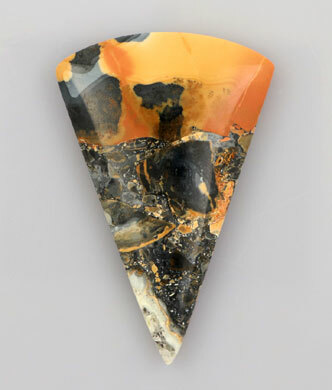 The most famous and collectable of all the American Picture Jaspers. 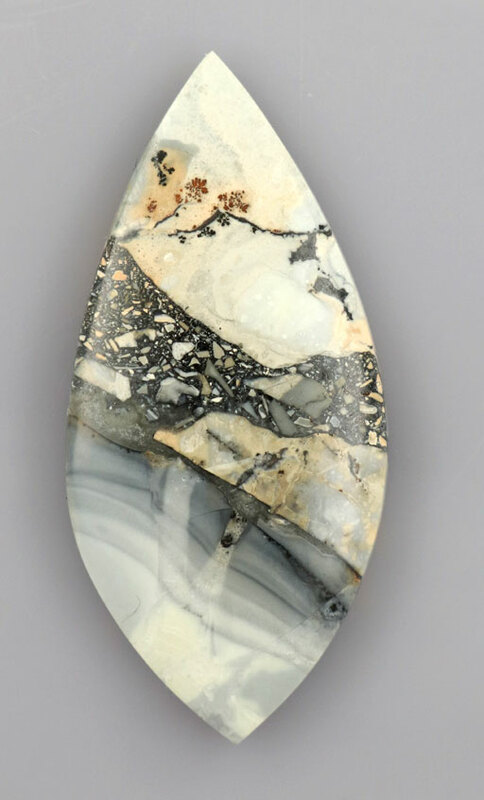 Blue in the landscape, and is no longer mined. 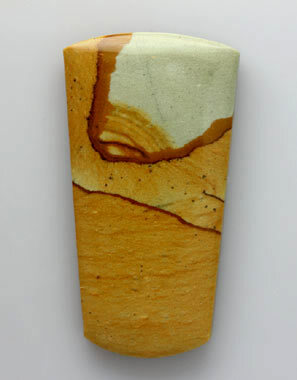 The material now comes only in small amounts from collectors. It is therefore very very rare and collectable. 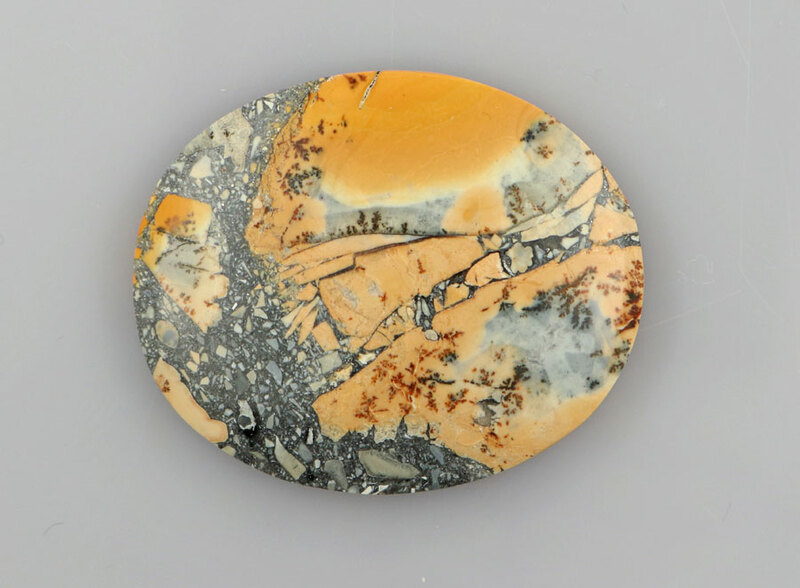 the highway at Biggs Junction in Oregon. 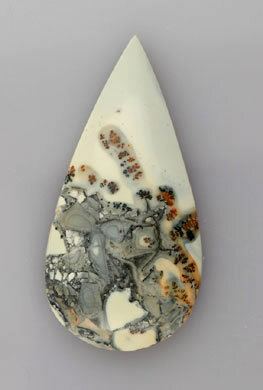 and was discovered by Hoot Elkins. 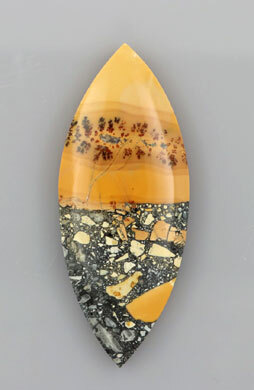 It was first mined in the 1960's. 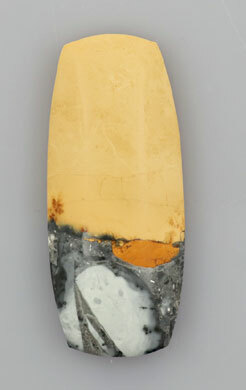 wild horses that roamed the area. 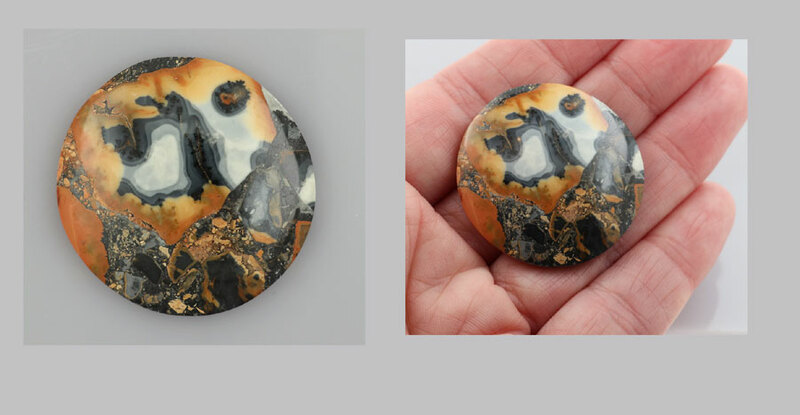 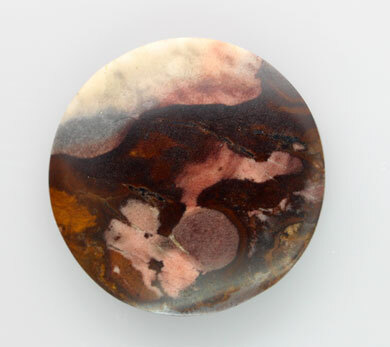 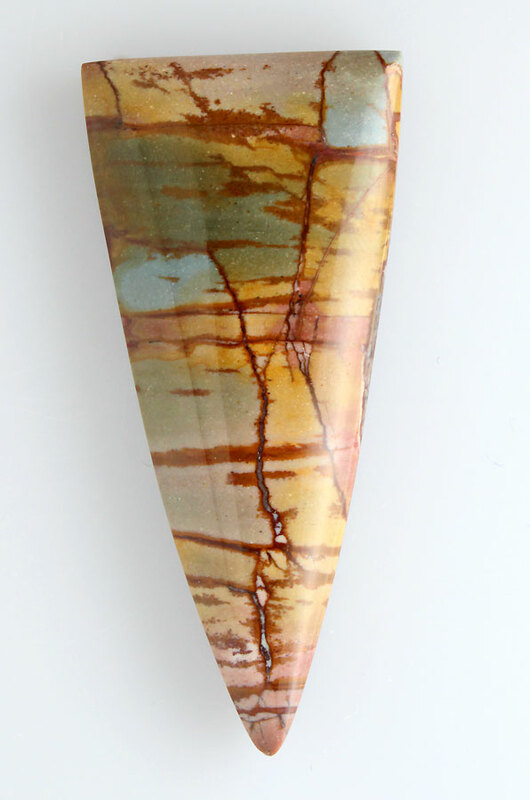 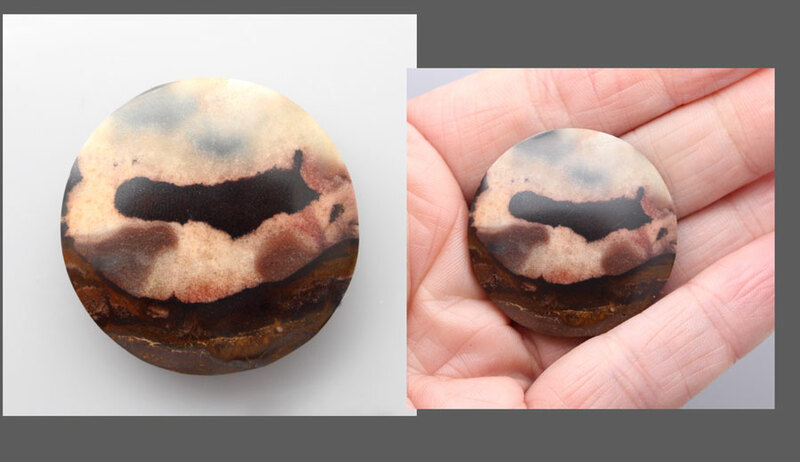 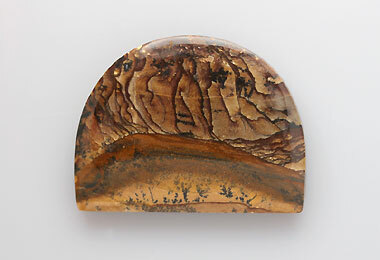 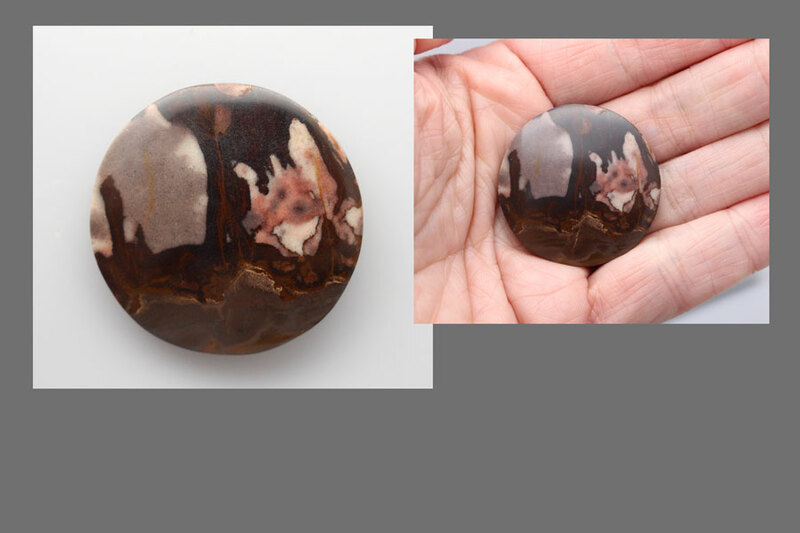 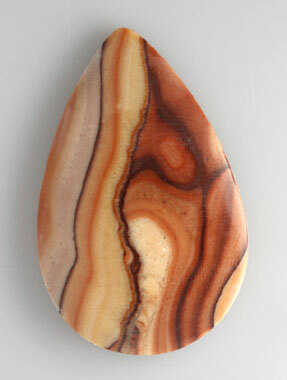 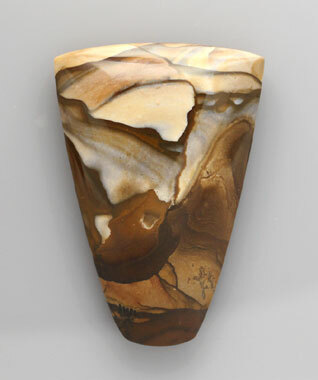 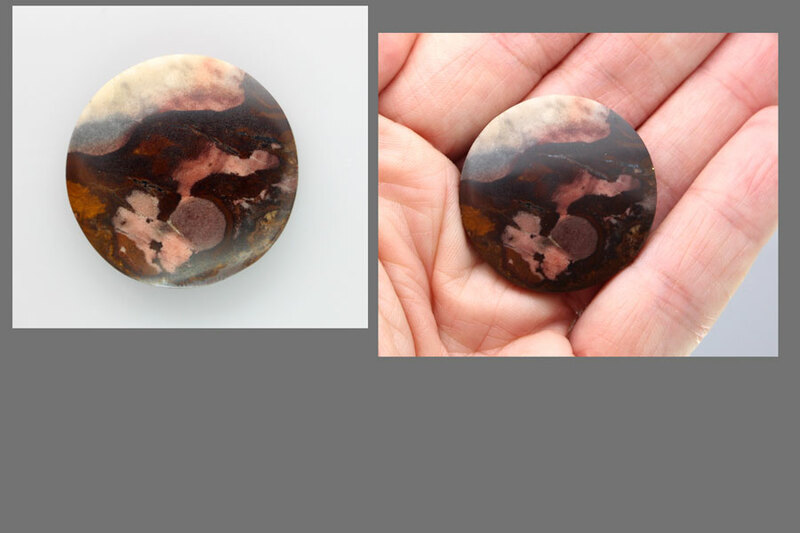 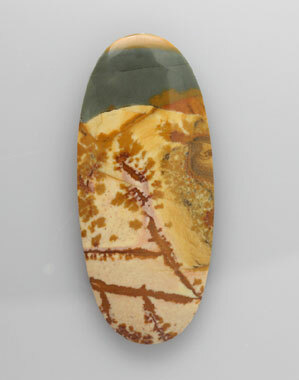 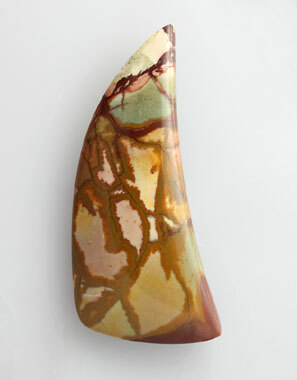 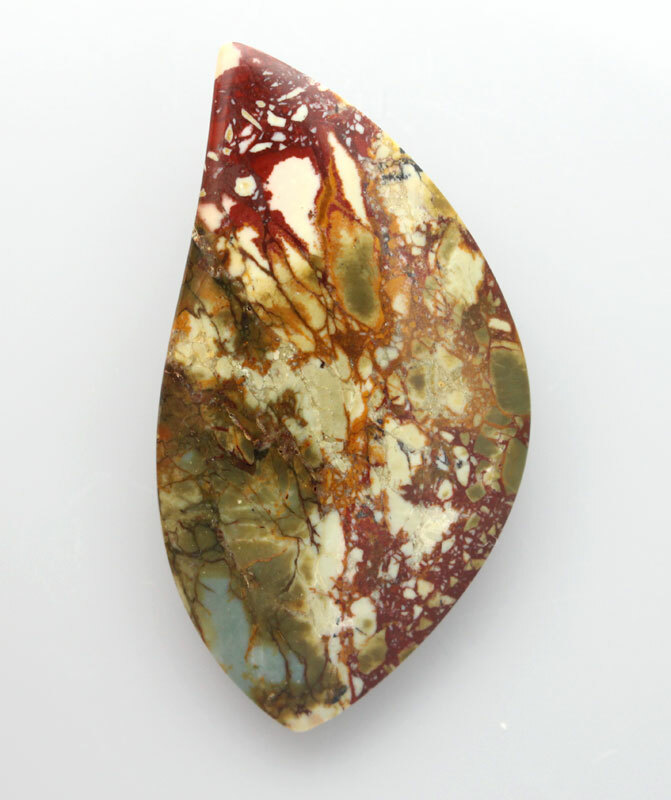 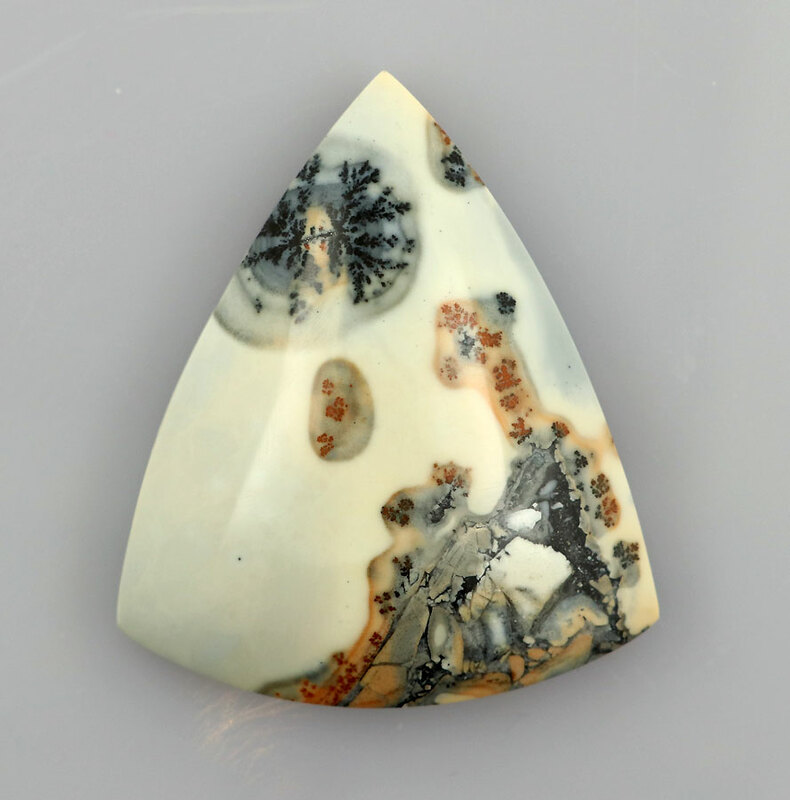 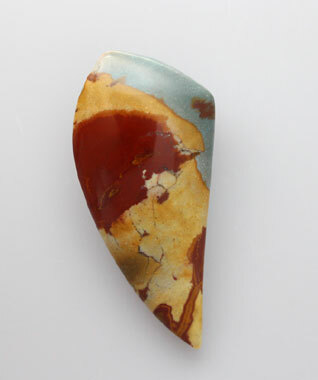 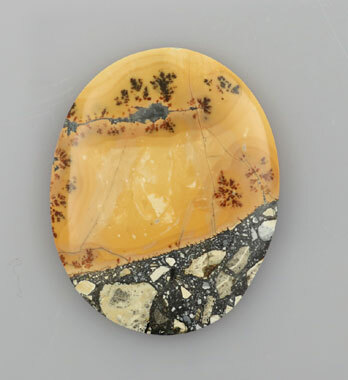 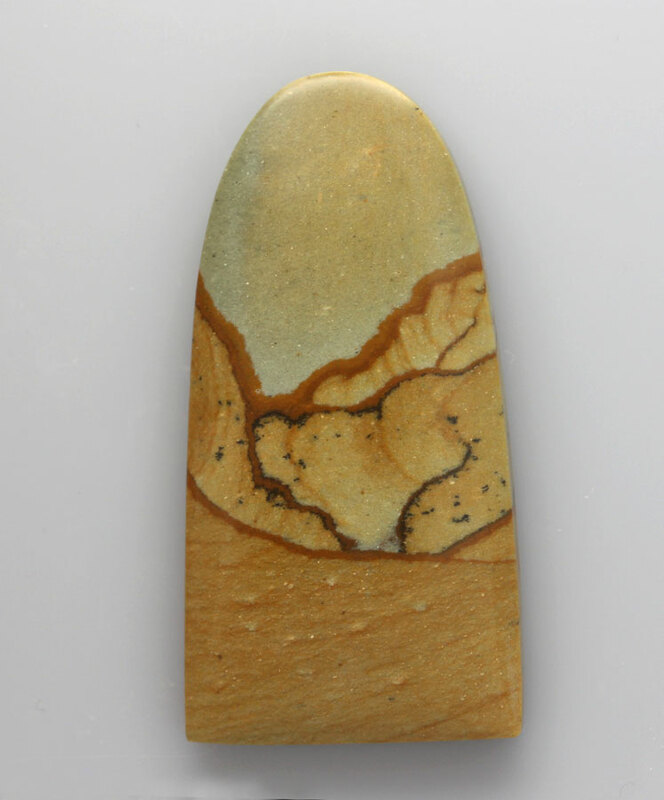 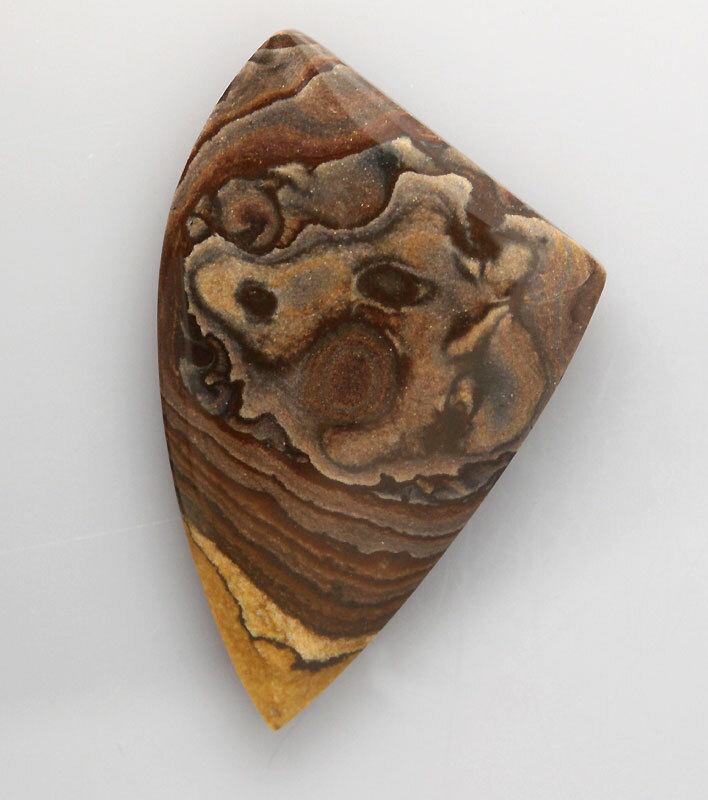 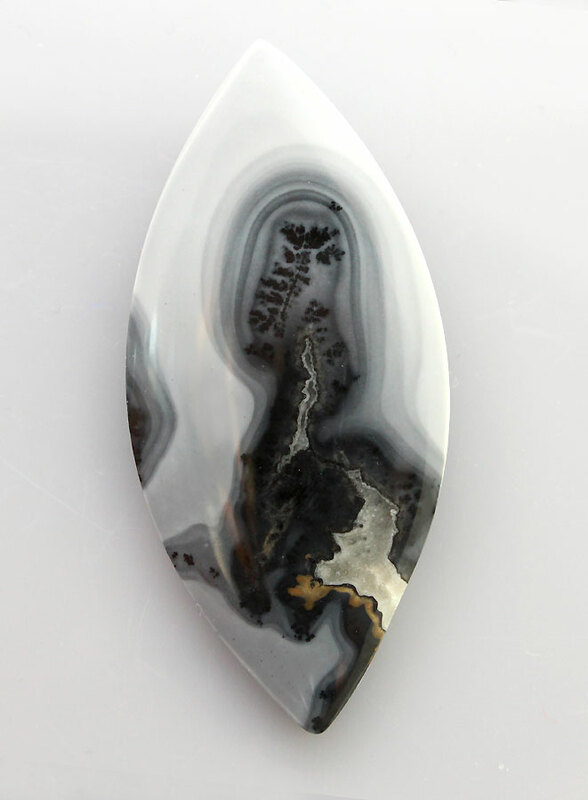 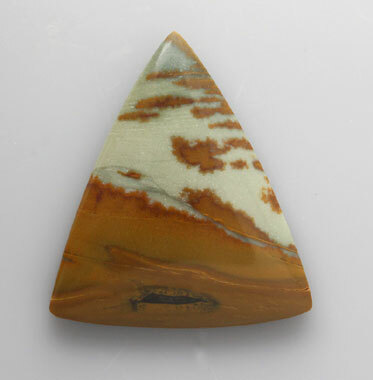 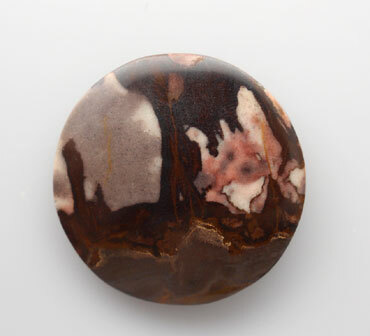 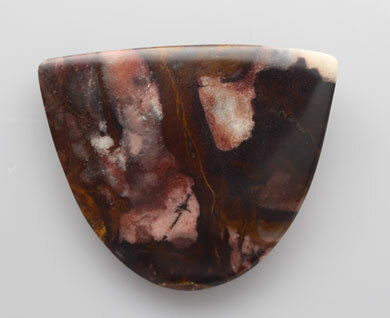 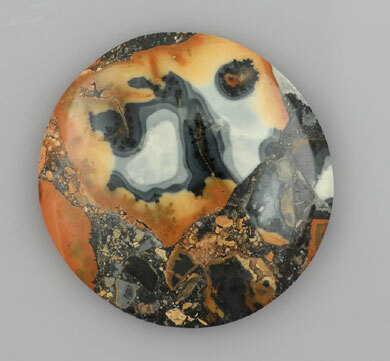 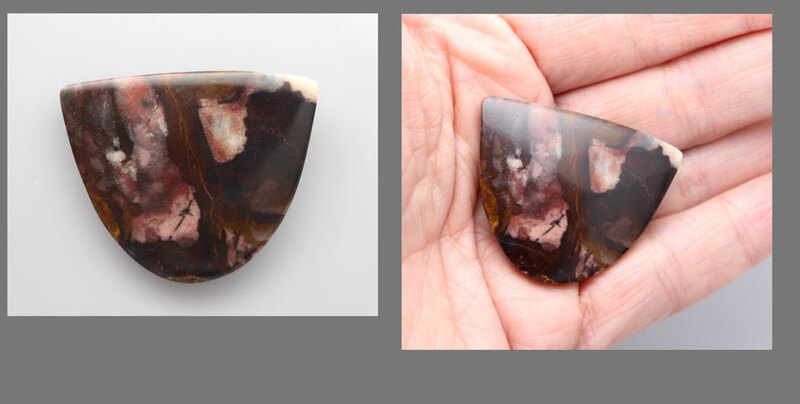 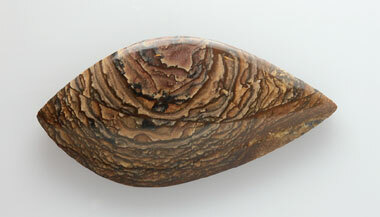 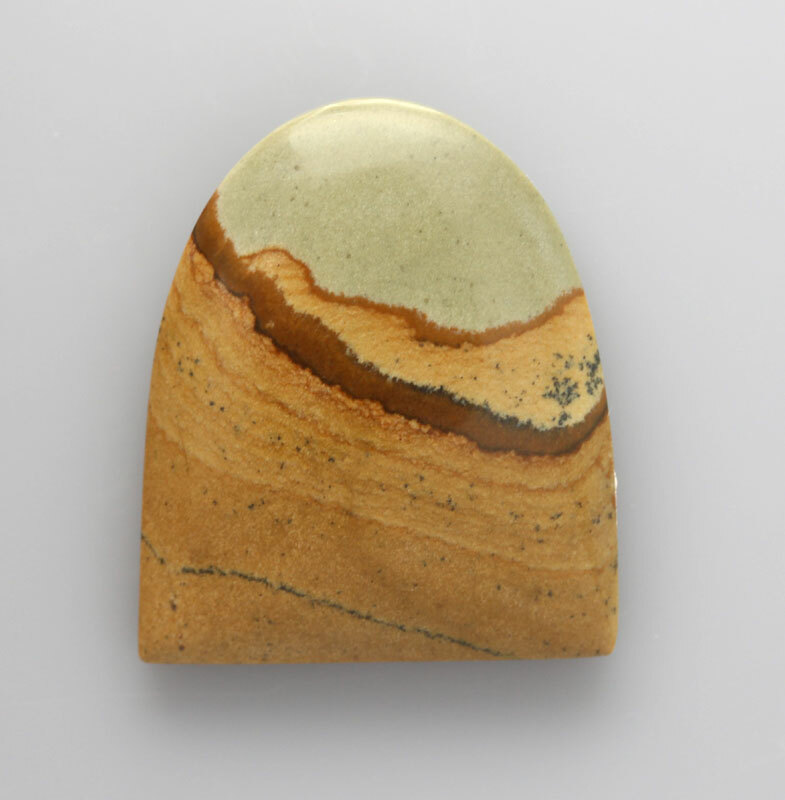 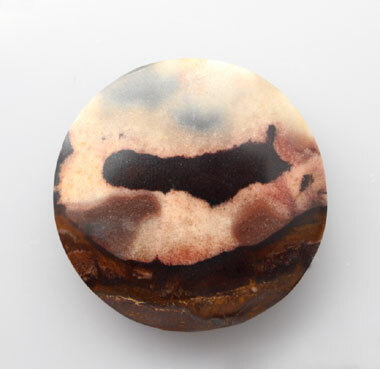 This jasper features scenic hill patterns with light blue sky. 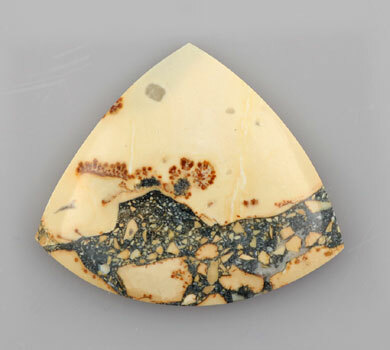 resembles the area in which it is mined. 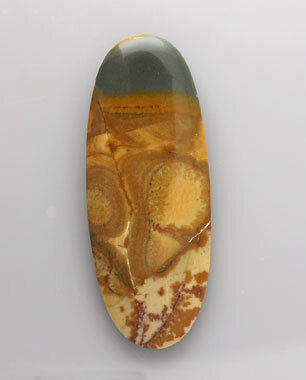 the well known American Picture Jaspers from Oregon. 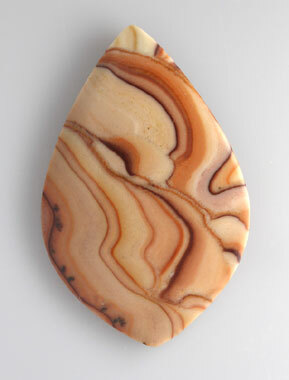 To checkout or view your shopping cart please click the view basket button.